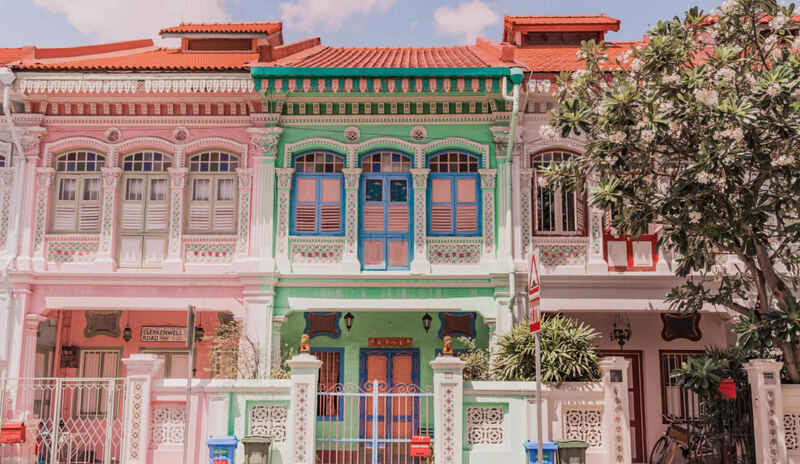 This post was kindly sponsored by Visit Singapore, however as always all opinions are my own. I only ever recommend brands and places that I personally love! 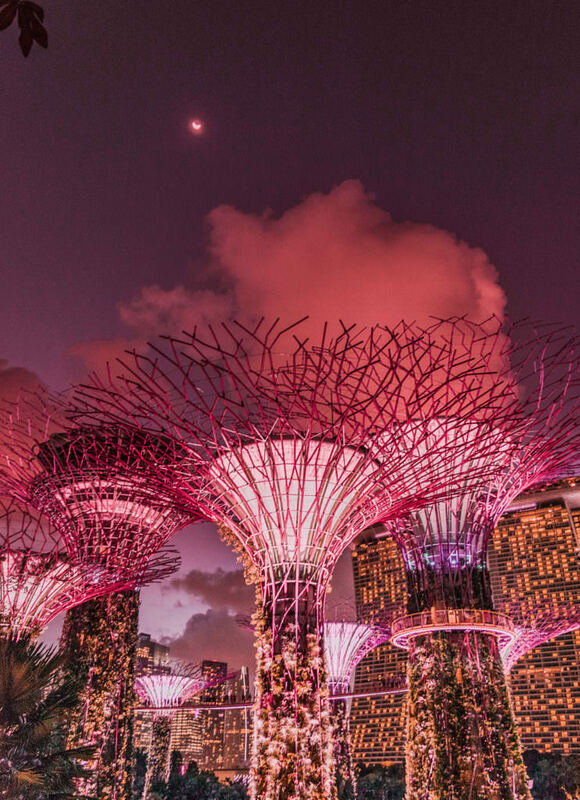 Singapore has been on our bucket list for so long now! 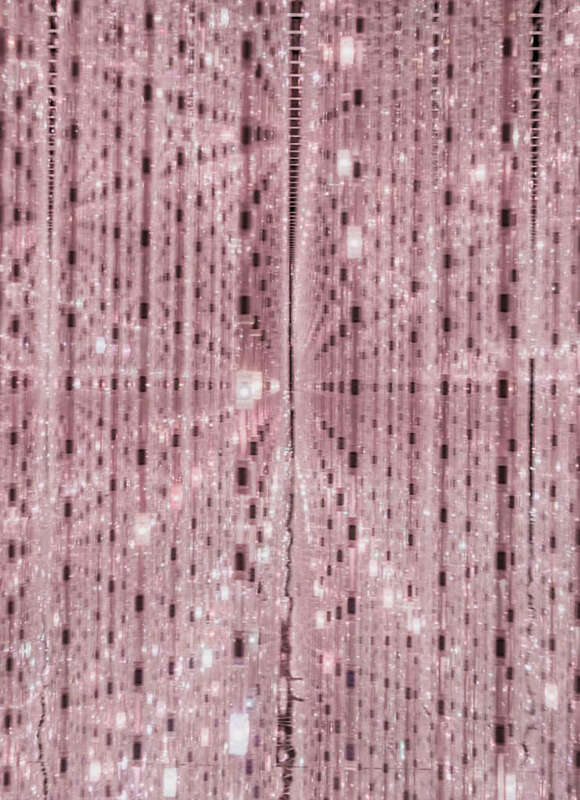 We’ve had connecting flights there more times than I can count but had never managed to fit in a stop. 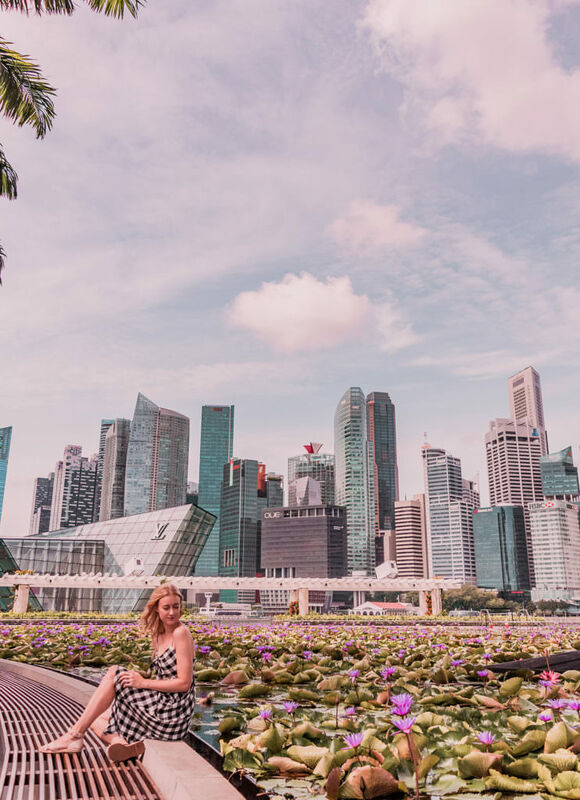 So when we flew back to Australia for Christmas we decided it would be nice to break up the long trip on our way back to Switzerland and finally see Singapore! 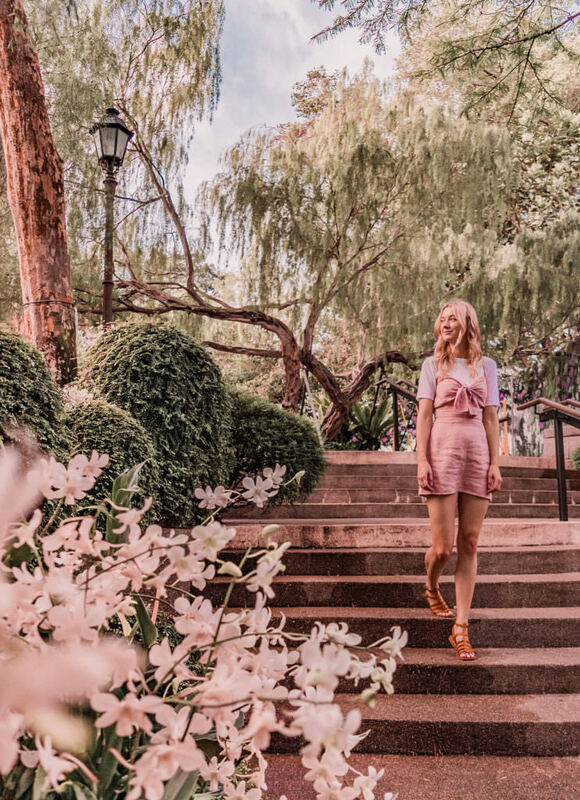 It’s a city I knew I would love because of all the good things I’d heard and the pretty photos I’d seen… and I wasn’t wrong! 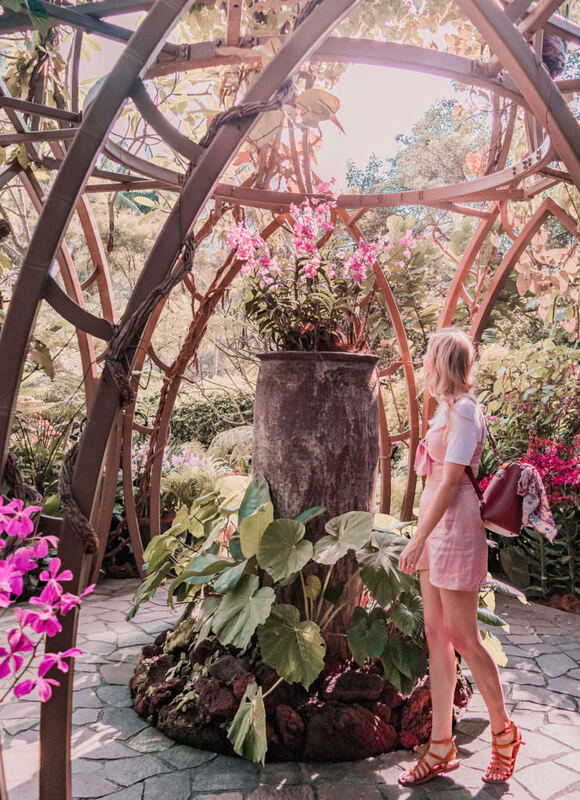 We had limited time so I wanted to share the most enchanting and must-see spots to put on your list if you only have 24-48 hours to explore. 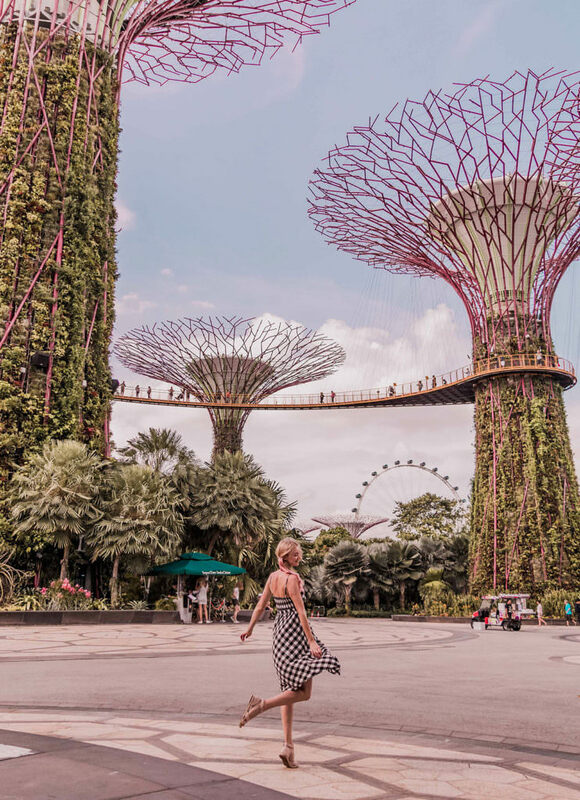 We had a 48 hour layover between our flights from Brisbane to Zurich and it was the perfect amount of time to see some of the big highlights in Singapore. But I think you could easily spend 3-5 days here if you have the time. 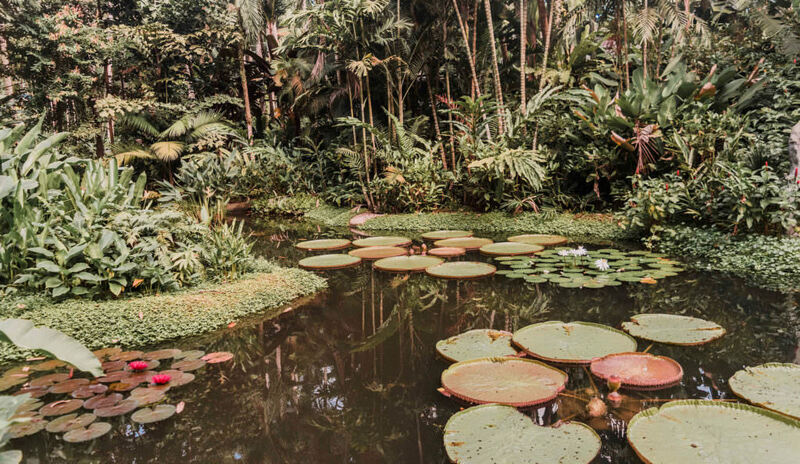 Full disclosure here – we were very lucky to have a guide and car from Singapore Tourism drive us around. If we hadn’t have had the car we would have used the MRT subway system and the odd taxi here and there. 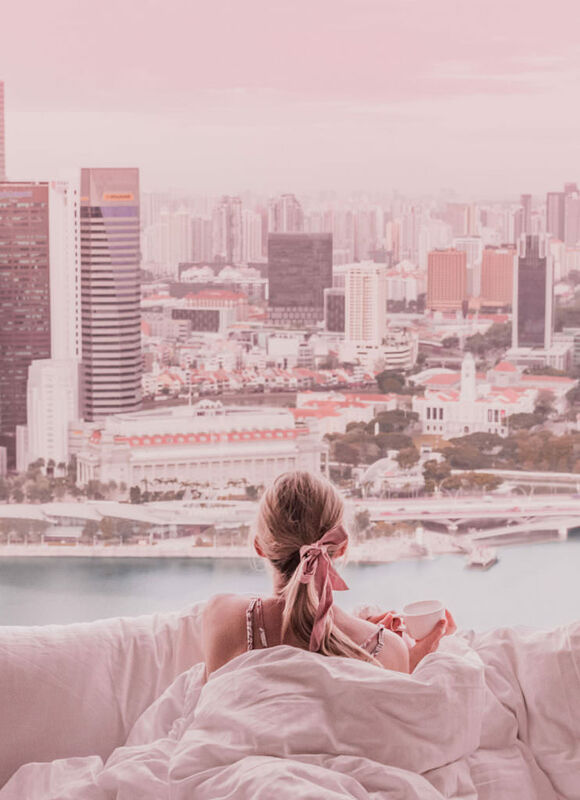 The day we decided we were going to layover in Singapore was the day I booked us in at Marina Bay Sands – the most iconic hotel in Singapore. 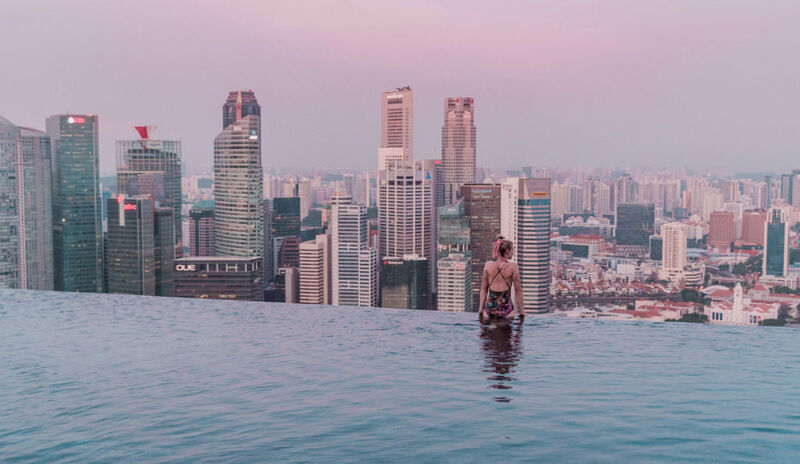 Marina Bay Sands is made up of two towers, which are joined by the world’s largest rooftop infinity pool, sitting across the top of them. As well as the most incredible pool view the hotel is in a really central location. It is a bit on the pricey side, but because we flew in early on the first morning and flew out late the second night we only needed one night accomodation. 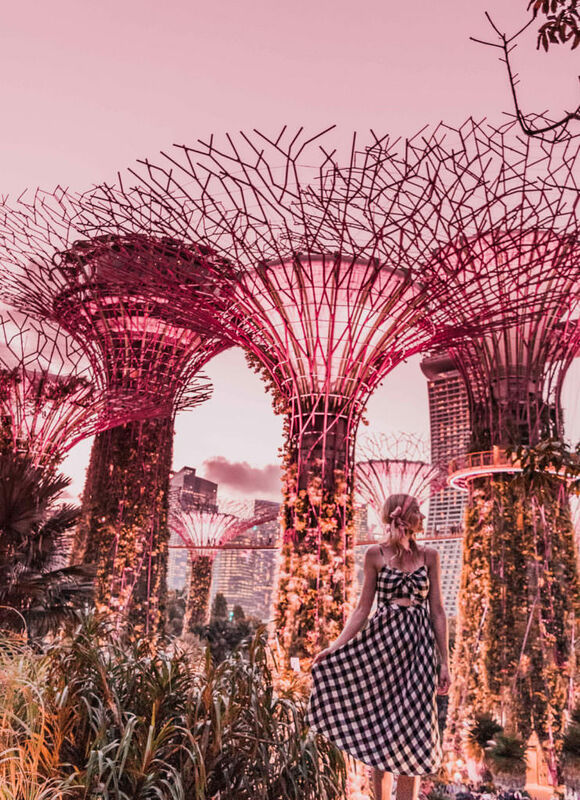 One of the reasons I loved Singapore so much was because of it’s unique combination of modern urban and lush tropical. 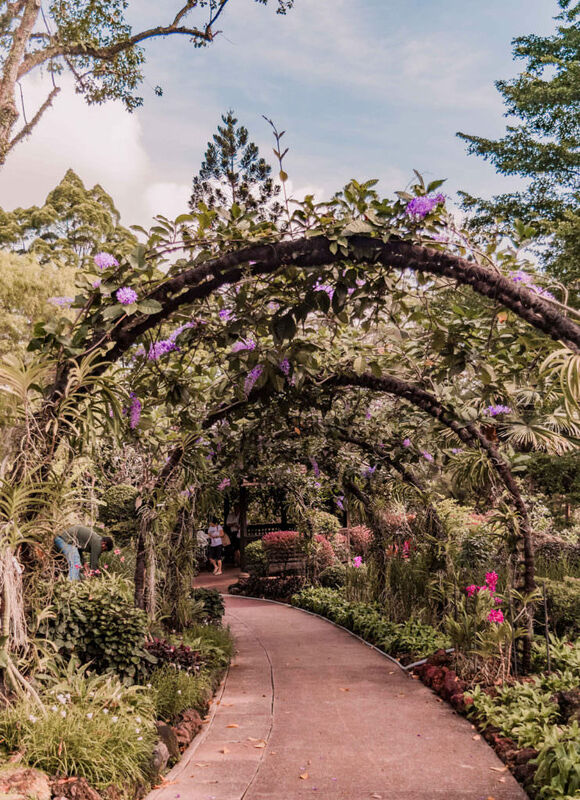 Walking through the beautifully kept botanic gardens was like being in a fairytale. In fact I forgot we were even in a city! 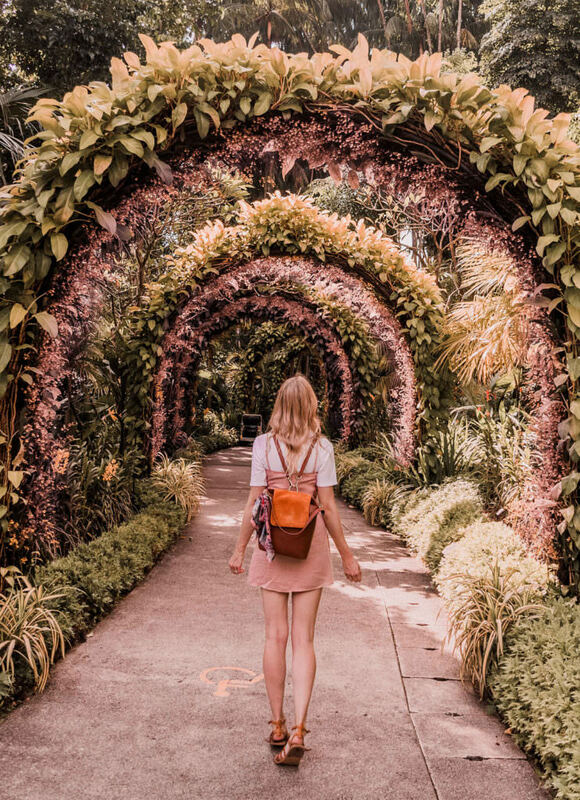 With a rainbow or orchid varieties, leafy archways and pretty ponds I could have spent hours wondering around – unfortunately we were on a tighter schedule than that though! 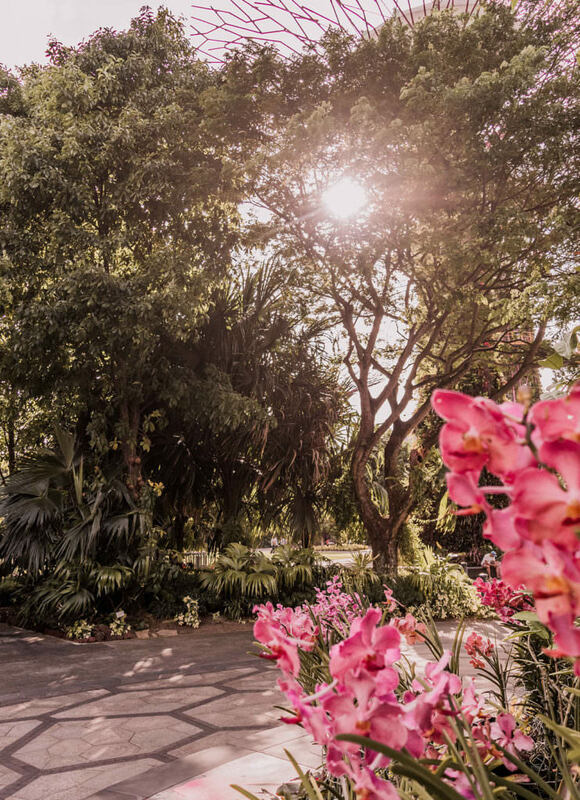 We loved starting our day strolling through the gardens before it got too hot and crowded. 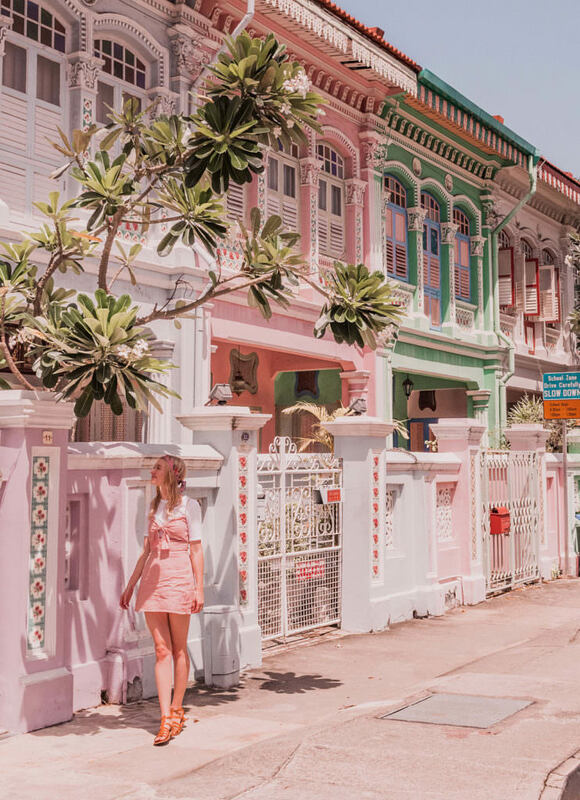 Before our layover in Singapore I knew I wanted to visit the pretty row of ornately decorated pastel buildings in the Katong/Joo Chiat district I’d seen so many times on Instagram. 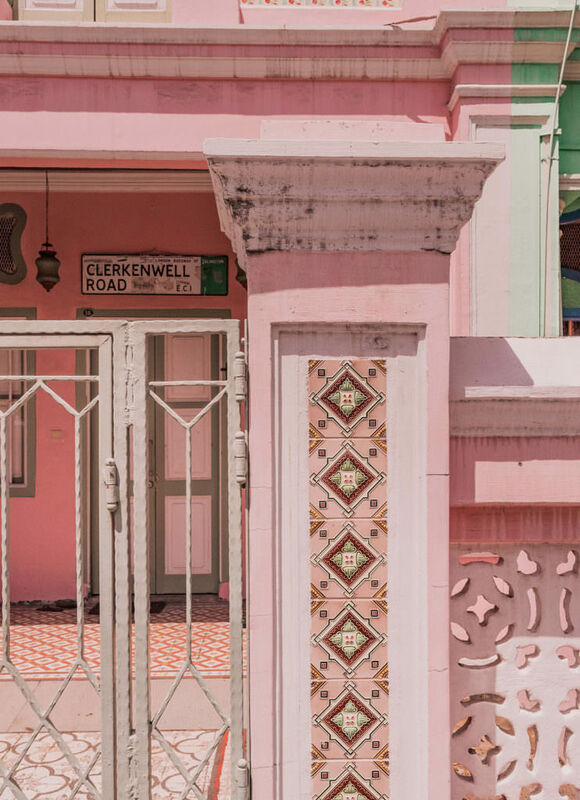 But what I didn’t realise was that these buildings are part of a very special culture in Singapore. 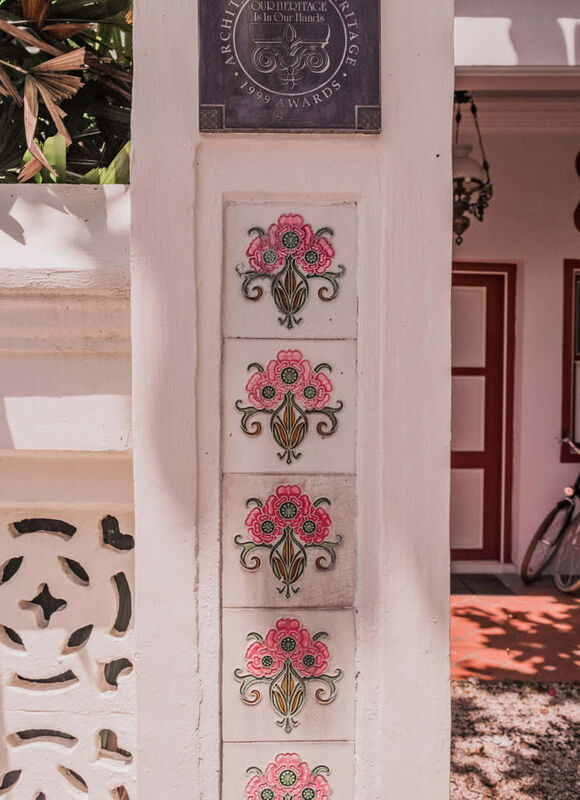 The Peranakans are people who descended from marriages between Chinese or Indian men and local Malay or Indonesian women from around the Malay Archipelago, with a touch of Portuguese, Dutch and Indonesian influences. 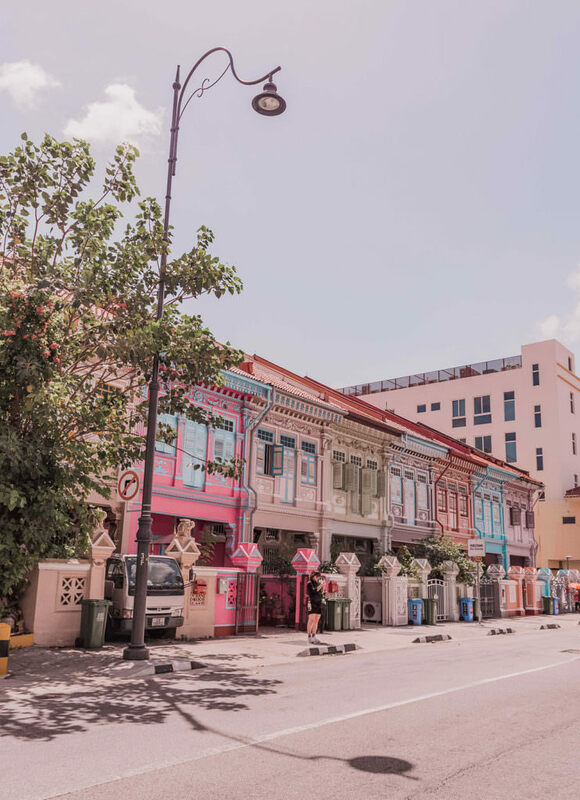 Not only are their buildings colourful and detailed but their traditional dress is adored with delicate embroidery and beading and their food is a delicious combination of Chinese and Malay culinary traditions made with a range of indigenous herbs and spices. 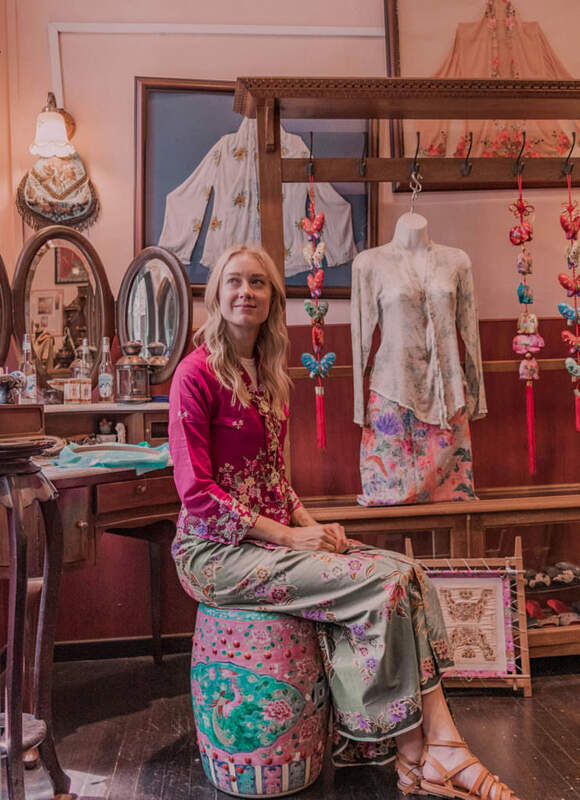 We loved visiting the InTan Peranakan Museum to sample some yummy food, try on some traditional clothes and marvel at the haven of Peranakan treasures within it’s walls. 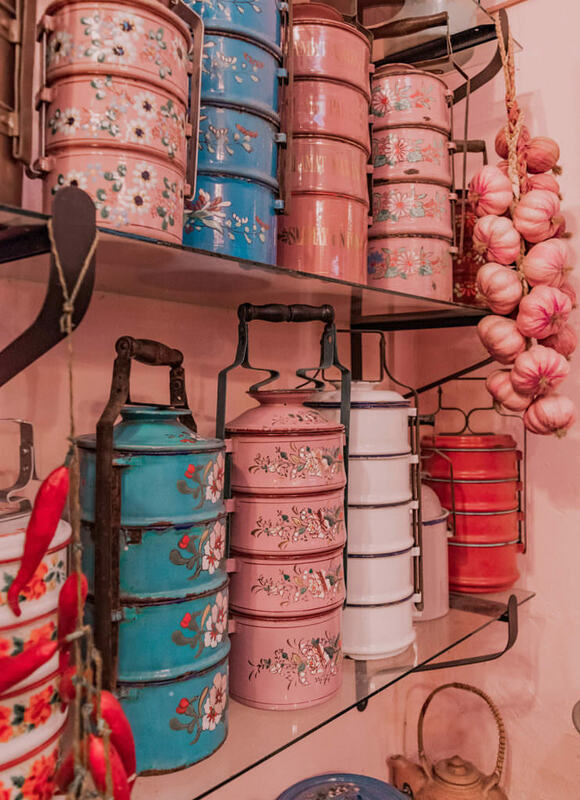 A perfect area to explore around lunch time so you have a good excuse to try the food! 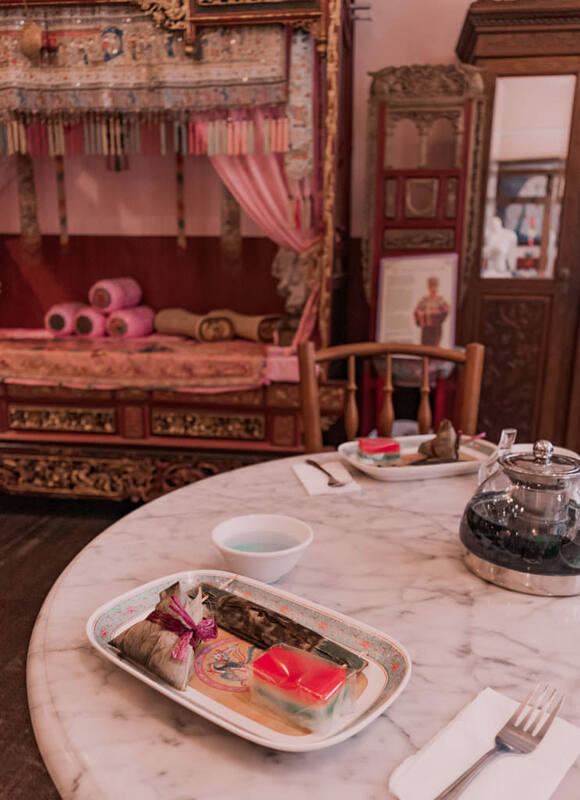 A few places that get good reviews are Blue Ginger, Baba Inn and House of Peranakan Cuisine. 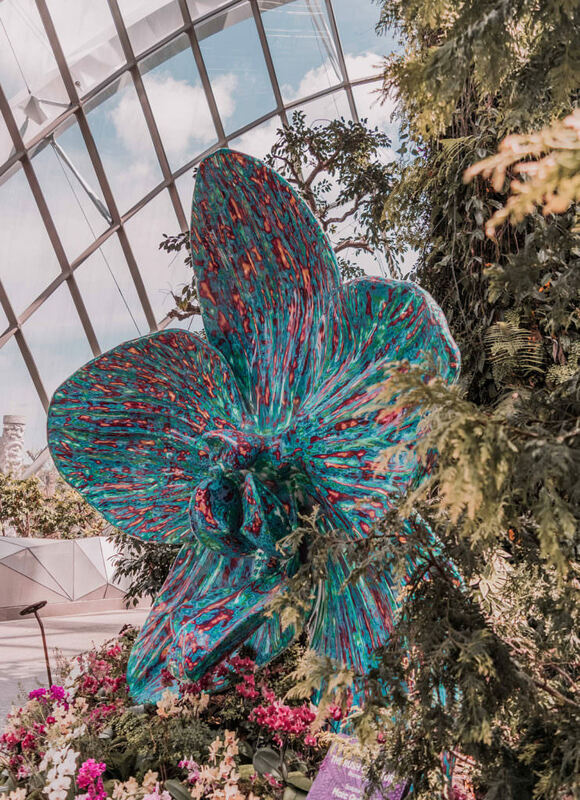 If there is one iconic landmark you’re probably familiar with in Singapore it’s Gardens by the Bay – an enchanting display of indoor and outdoor gardens. 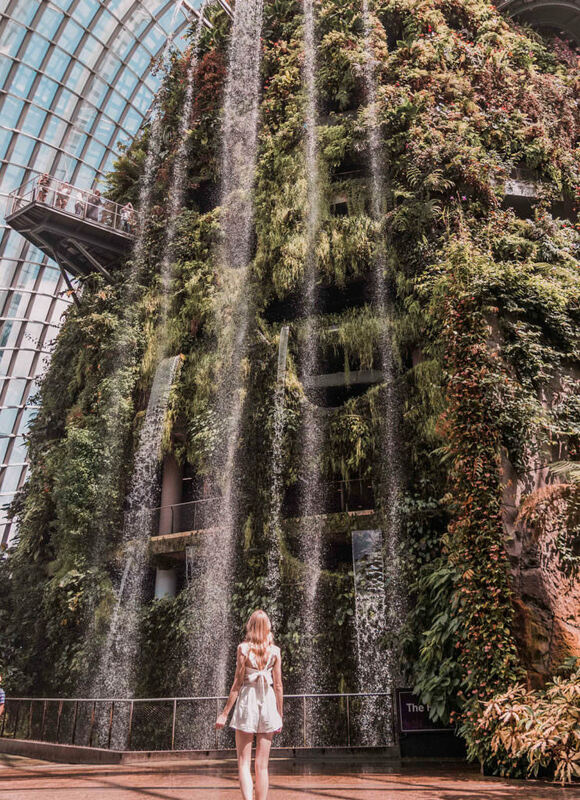 From sky high waterfalls to Super Trees these are the most magical gardens I’ve ever explored. 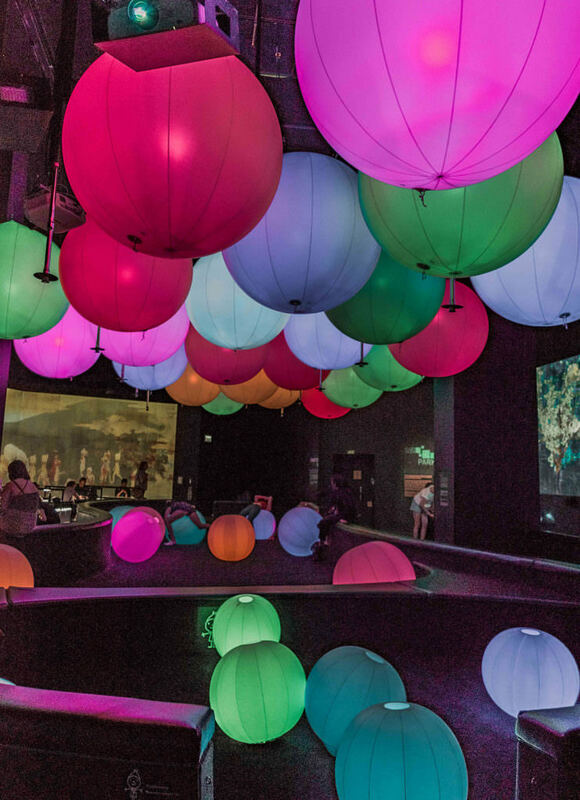 I honestly felt like I’d stepped into the world of Avatar as we wandered the different exhibits. If you have an afternoon/evening to spare I would suggest spending it here. 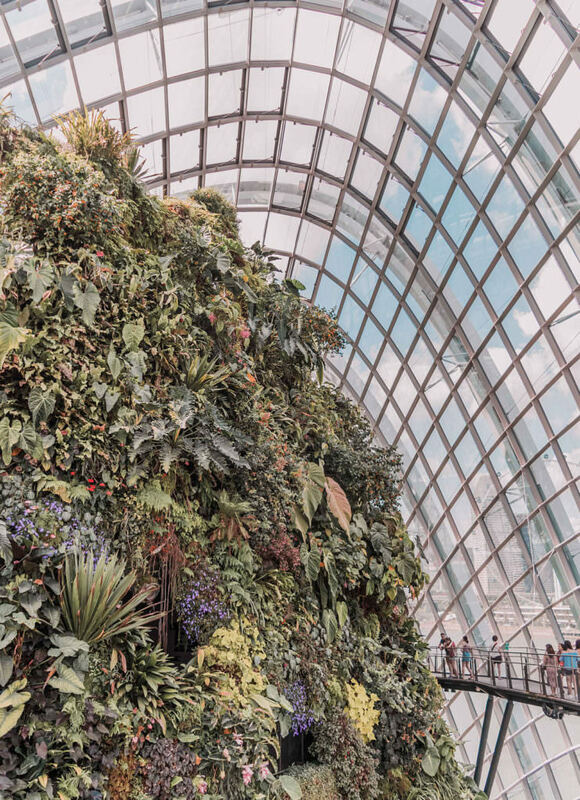 Wander around the indoor Cloud Forest and Flower Dome displays to keep out of the afternoon heat. 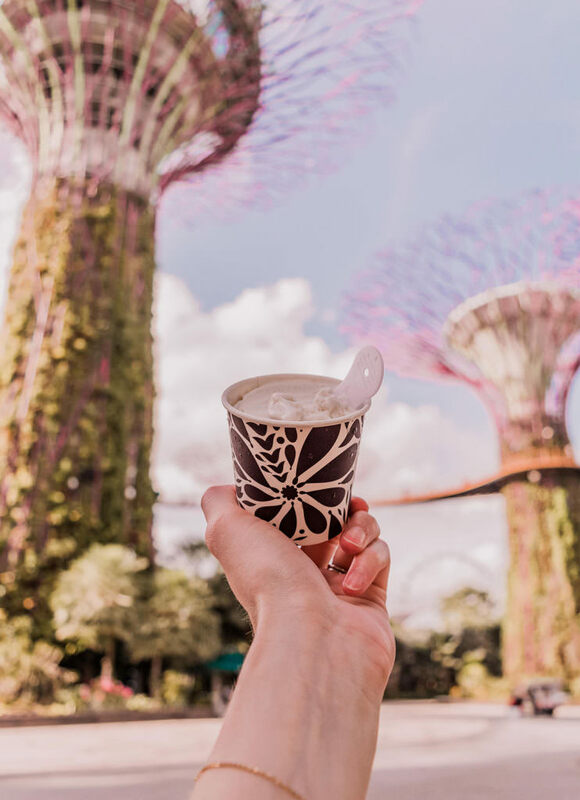 Then get yourself an ice-cream from the cart in the Supertree Grove (they have lavender and rose flavours!) 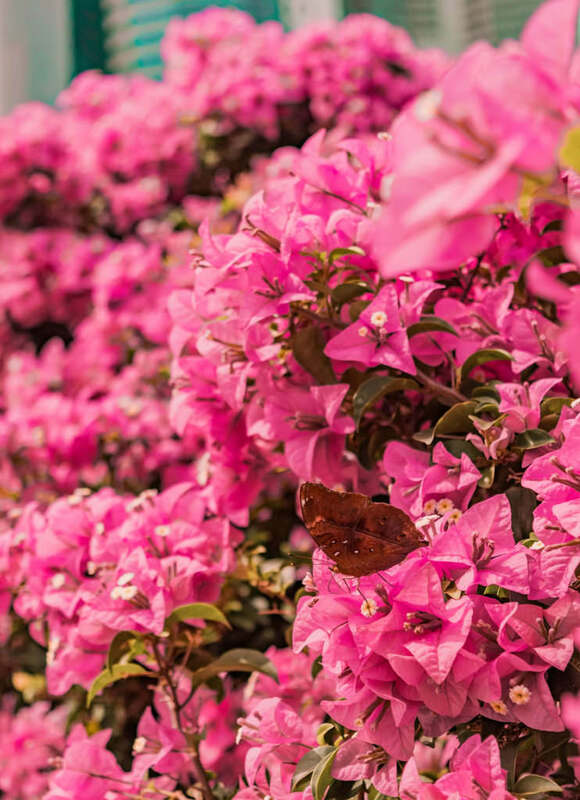 and enjoy the serenity. 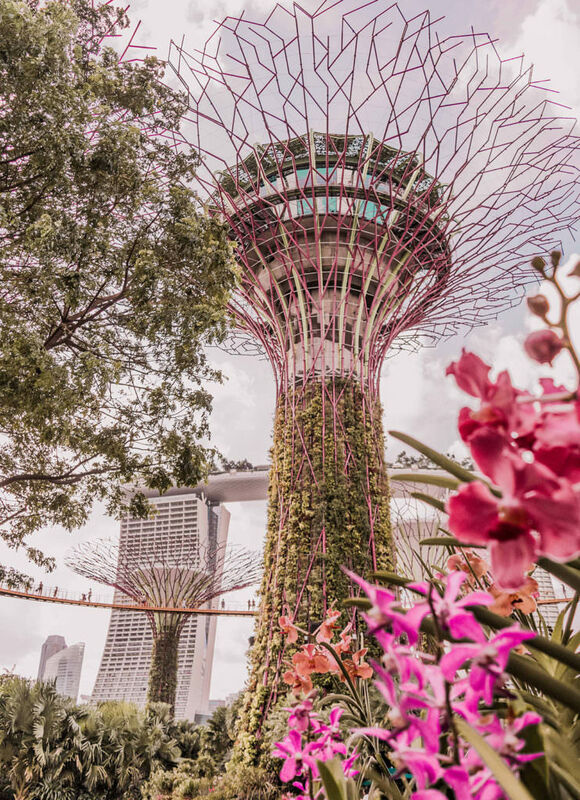 When you are full up on ice-cream, take a stroll on the OCBC Skyway – a walkway connecting two of the towering Supertrees. Finally as dusk sets in find yourself a good viewpoint for the Garden Rhapsody light and music show (at 7.45pm and 8.45pm daily). 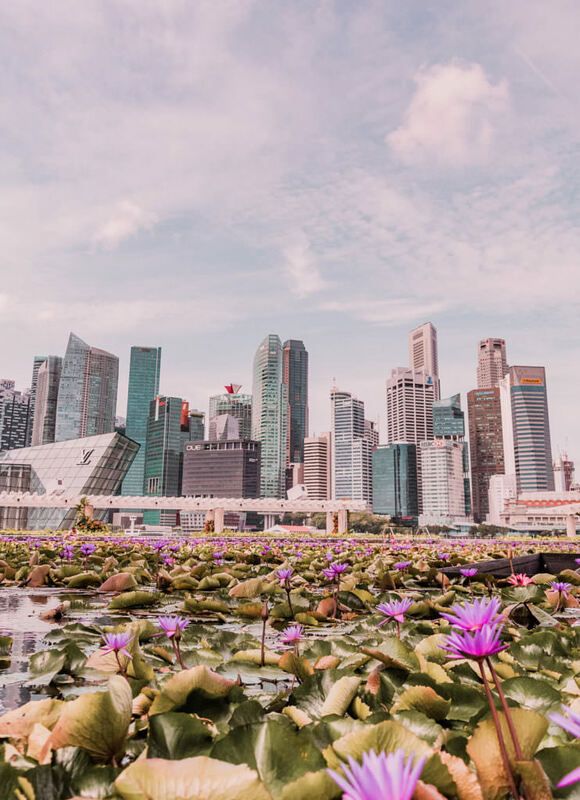 If Singapore had a heart I think it would be the bay area at Downtown Core. 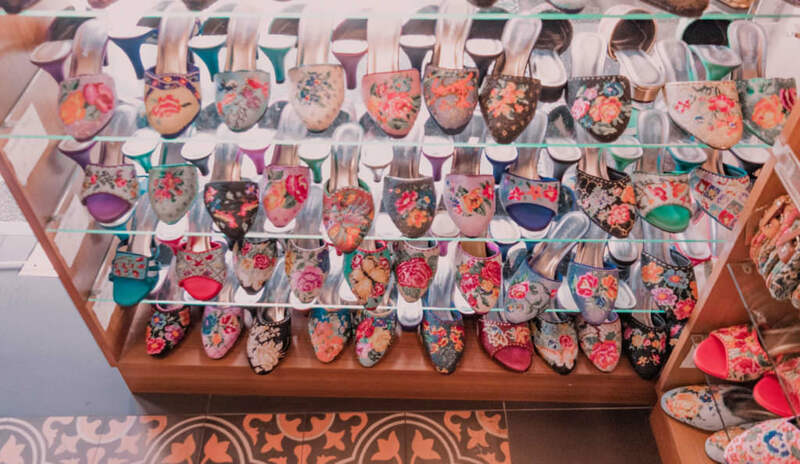 A bay area full of all sorts of delightful spots to visit. 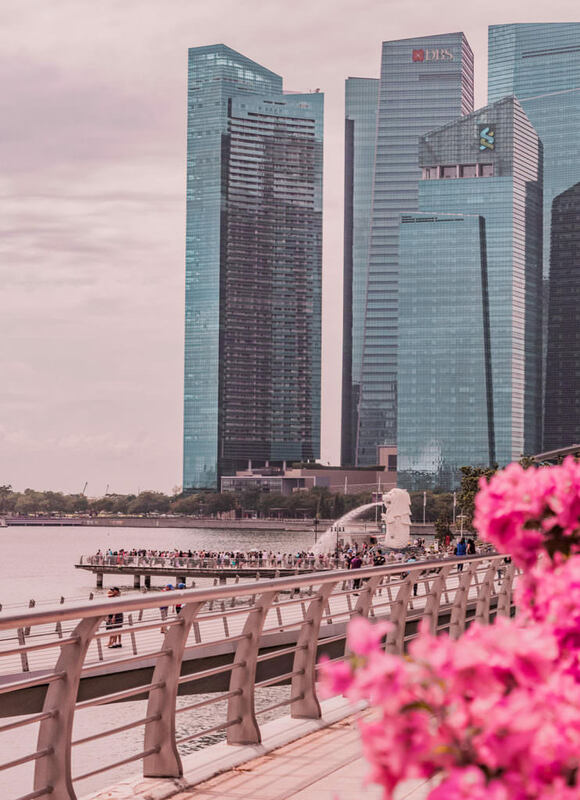 If you are staying at Marina Bay Sands it’s just a few steps from the hotel. 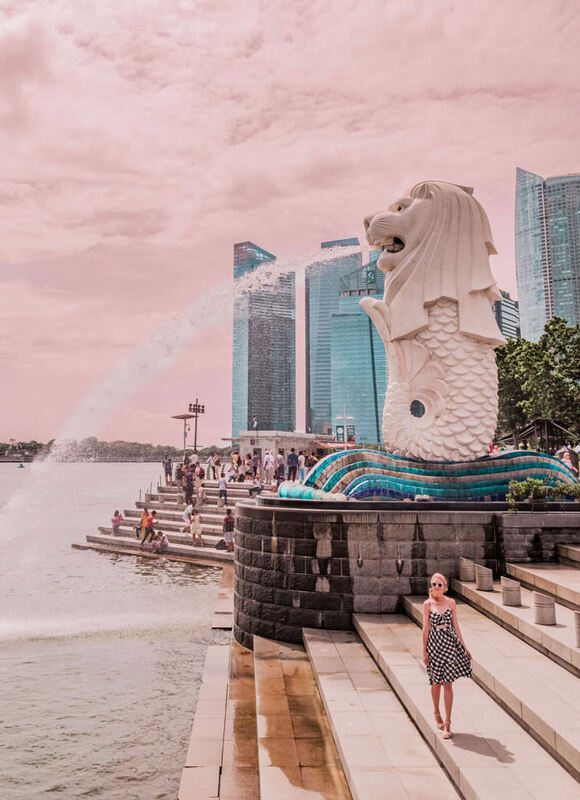 We loved taking a leisurely stroll around the bay and stopping by the iconic Merlion statue – the half lion, half fish mascot of Singapore. 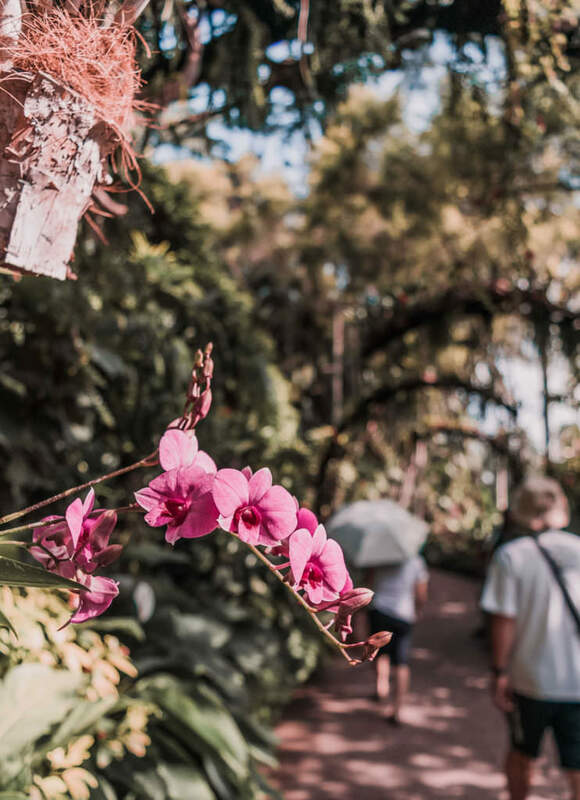 But we did make the mistake of going in the middle of the day and it was so hot and so crowded that I ended up huffing off to find some shade when I got a bit overwhelmed by it all – a moment that is bound to happen on any trip right? Thanks to Jase’s love for craft beer we also stumbled across the most incredible view across the bay at Level 33 Craft Brewery – I highly recommend booking a table for post dinner drinks here (even if you don’t drink beer!). 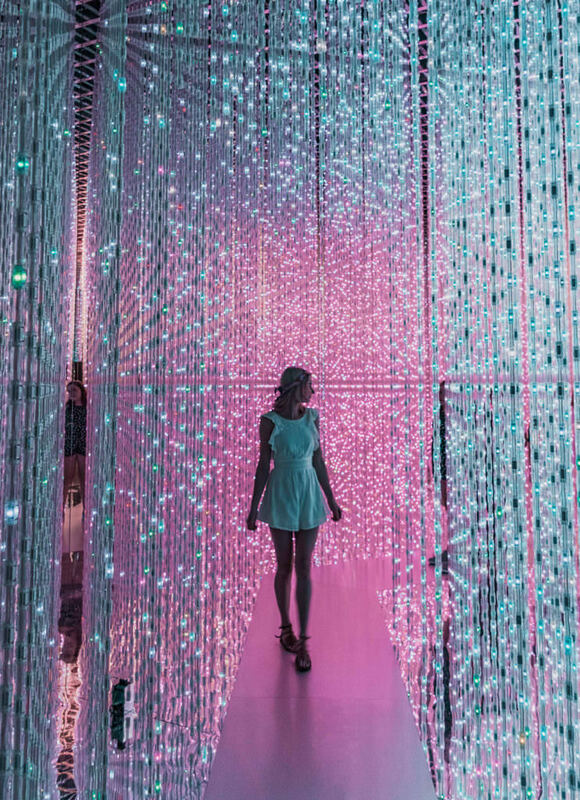 Without a doubt the most enchanting exhibit I’ve ever explored, Future World at The Art Science Museum is a must see. 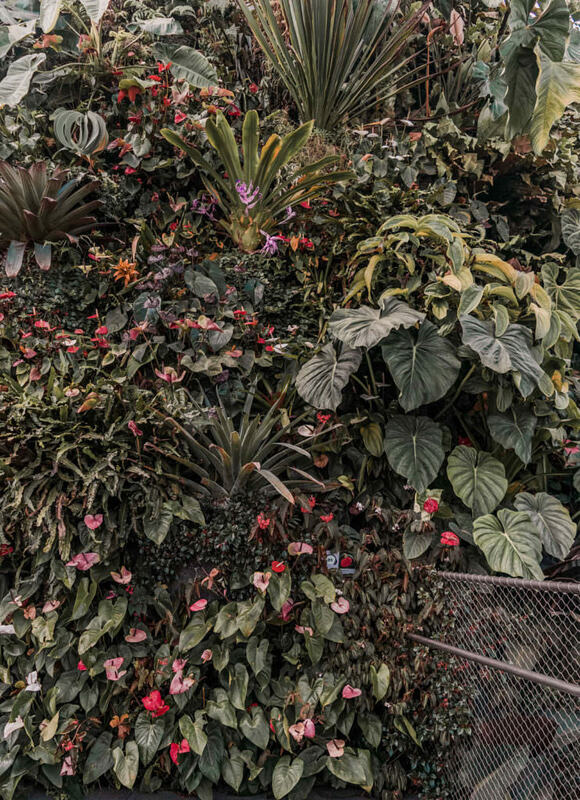 The building itself is shaped like a giant lotus flower so it’s hard to miss. 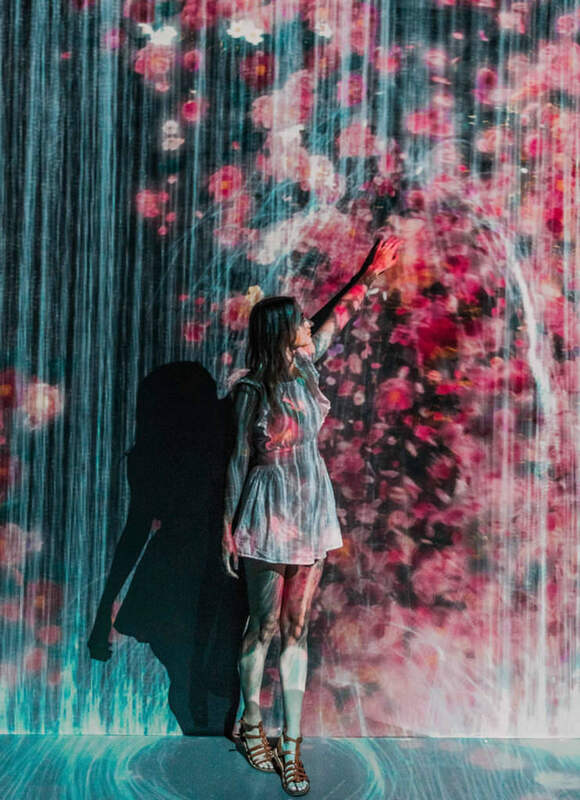 All of the installations are interactive and play with light and colour. 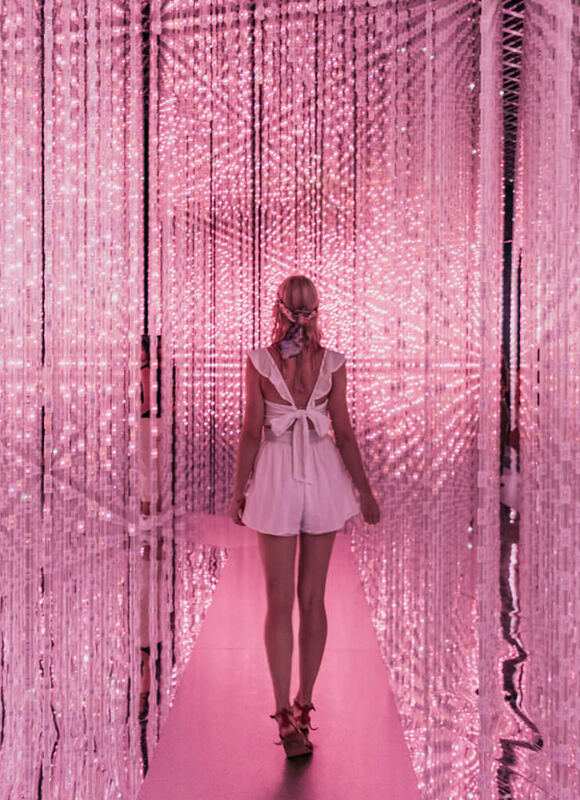 The sparkly Crystal Universe installation was my personal favourite and I could have walked around in there forever. It’s a perfect place to escape the afternoon heat too – we went at around 3pm and it wasn’t very busy at all.